Discussion in 'Off Topic & Everything Else' started by Alexander Lau, Sep 3, 2018. Customer trust of car dealerships has taken a slide lately. Only 61% of Americans believe their dealership gave them the best price, down from 65% in 2017, according to an annual survey by Cox Automotive. Nearly one-third of buyers are not satisfied with their auto purchase. This summer, the Federal Trade Commission charged a group of four auto dealers operating in Arizona and New Mexico with a range of illegal activities. They include falsifying consumers’ income and down payment information on vehicle financing applications and misrepresenting important financial terms in vehicle advertisements. Last year, another car dealership, Cowboy Toyota and Cowboy Scion, agreed to settle FTC charges that it deceptively advertised loan and leasing terms in ads placed in a regional Spanish-language newspaper. I have been lied to every single time I have purchased a car (except once). Whether it is a "we can't remove that charge" or it's a "this manufacturer certified car doesn't include a warranty, so you have to buy ours," there is always something. I have only had one car purchase that was smooth and efficient. "Buyers are Liars" "Evil Dealers and the Slaughter of the Innocents"
"I was self-employed, working for a Car Dealer was never on my radar.... Once working at the Dealership, I listen to the calls, the emails, the dialogue on the floor and at the desks. The consumer expects and wants a NEGOTIATED discount to purchase a vehicle. Many (but not all) shoppers are out for blood and will “bend the truth” (aka lie cheat and steal) to improve their position. It didn’t take me long to realize the public perception of the evil dealer and the slaughter of the innocent buyer was totally an Urban Legend. The Internet has blown that into million pixels and has arguably tipped the scales in the buyers favor. But… the legend persists, we’ve see it all the time. Bloggers and journalists writing about the Evil Car Dealer and how they want to eat your children..."
All across the USA, rooftop by rooftop, our industry is under a complete makeover. Where are the articles on this? Where is Cox, Cars and CarGurus to support this new ways to buy a car? So few of the employees of these companies have walked in a dealer's shoes. But so many have walked in the customer's shoes. They don't get it. Joe, you and I worked with many who had forgotten the wool they, themselves, tried to pull over the dealer's eyes. All they remembered was some perception that the dealer instigated some unsound exchange. The difference between reality and someone's sensational account of their car journey is very much like the old game of telephone. Remember telephone? Kids get in a line and whisper a story to the kid next to them. By the time the story gets to the last kid it has morphed into something totally different than where it started. Human nature makes recollection a phantasy a lot of the time. The fact that our justice system is based on eye-witness testimony is a testament to the fact that the entire system is based on a fallacy. I'm getting a little too far out on a tangent now. My point is that perception is the problem within the walls of the organizations that could help to turn that perception. Between not having the cars you wanted and gremlins with the ones you had.. . cars were a PIA. And there was one surefire way to tell when customers were lying: their lips were moving. I'm not assigning blame, but something seemed to bring out the worst in people when they engaged with the dealership. Aren't review sites like https://snap21.com (Bobby Rahal dealer-created), https://www.dealerrater.com, https://www.surecritic.com, etc. popular because they do hold dealerships accountable for their wares, which at times can be very negative? Not necessarily lies per se, but piss poor treatment. According to the statistics I made up for this post, Liars are 99% more likely to be lied to. In all seriousness, basic psychology teaches us that people who are known liars or have a history of lying are lied to more often. I think we, as car dealers brought that upon ourselves from a history of categorized malicious sales tactics and deceptions. No, I'm not calling YOU a liar so don't take it personal. Buyers are liars because they perceive they are being lied to or have been lied to historically by us. 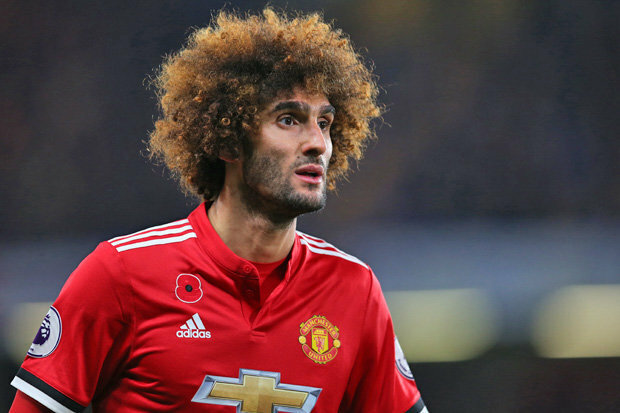 Is that Marouane Fellaini of both Belgium national team and Manchester United lore?